The longest Qanat in Iran and the world is the Qanat of Zarch which is located in Central Yazd province. 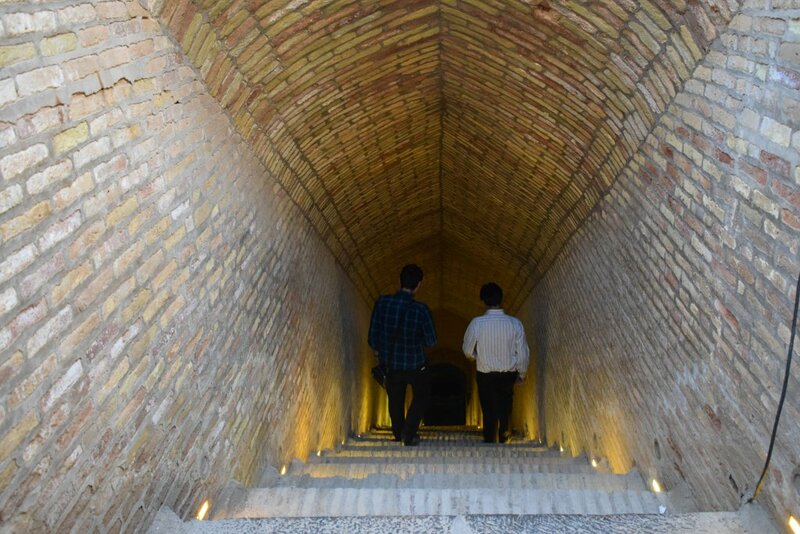 Qanat is a gently sloping underground channel to transport water from an aquifer or water well to surface for irrigation and drinking. The Qanat of Zarch is a plain one with a length of 100 km. Its mother well is 90 metres deep and has more than 2,000 well shafts. Zarch is a city located 15 kilometres west of Yazd in central Iran. 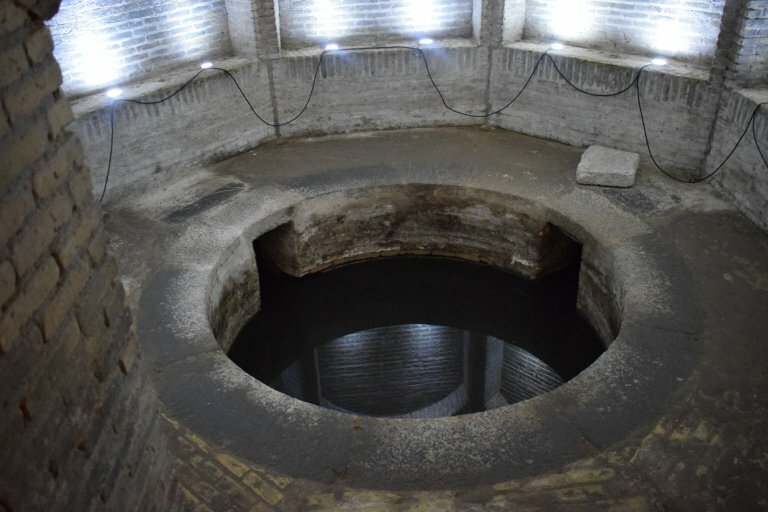 A collection of historical studies on the Zarch Qanat reinforces the possibility that it has been discovered around 1,300 AD. 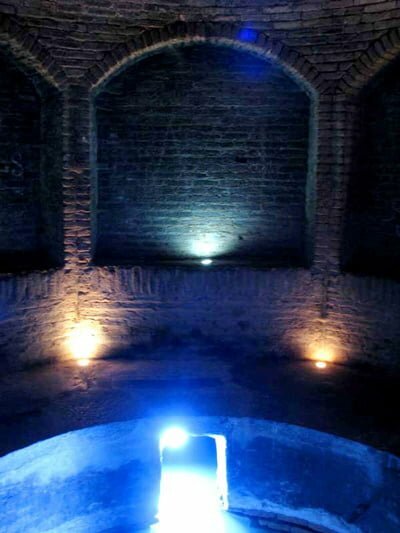 After the conquest of Iran by Muslims, the historical mosque of Yazd was built near the Qanat of Zarch, and several wells were dug within the vicinity of this mosque to fill the large cistern under the mosque, and also provide water for the worshippers’ ablution. 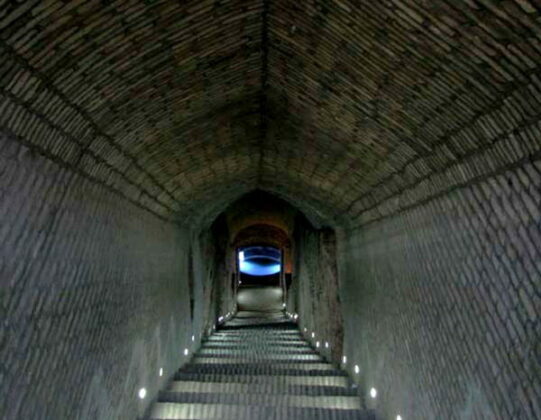 People used the water for drinking and sanitation purposes through pāyābs which are a kind of access corridors. 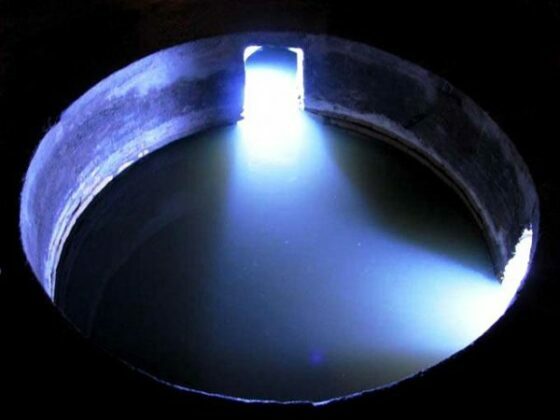 The starting point of this qanat is in the village of Fahraj located in the north-east of Yazd. 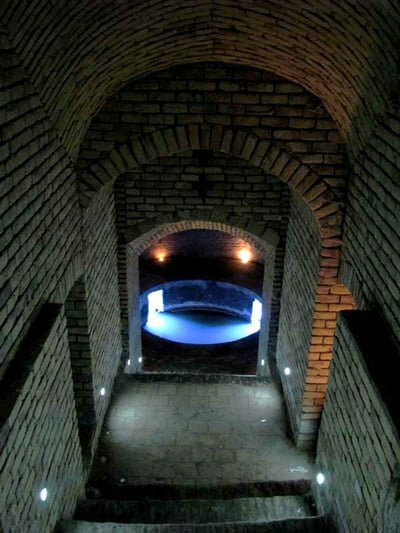 The qanat runs through several other villages and passes Yazd’s main square to reach Zarch, where the water is used for irrigation in lower lands of the city of Yazd. 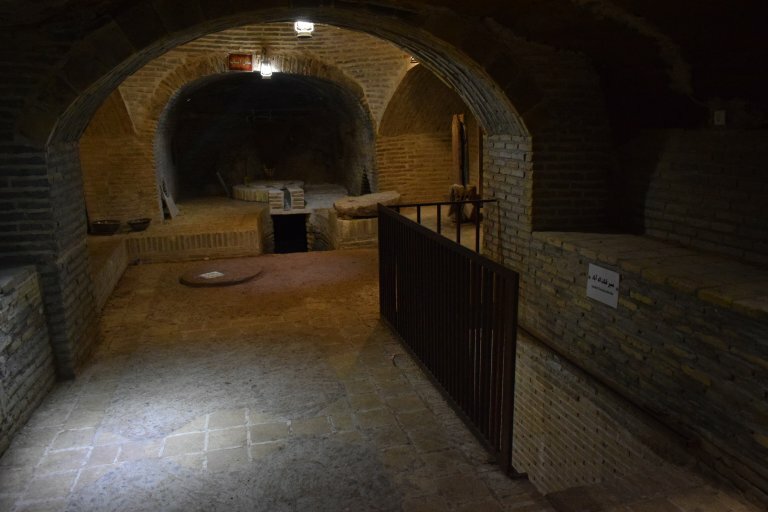 The history of Qanat of Zarch can be studied in terms of the formation of the city Zarch, the age of the hydraulic structures built over it and in terms of existing historical documents. The history of the city of Zarch not only can be found in history books, but also myths, fables and epic stories mention it frequently, all of which are indicative of its long history. Now if we consider this qanat as the factor behind the formation of this city, it is as old as the city itself. At the 40th UNESCO World Heritage Summit held in Istanbul in July 2016, the Qanat of Zarch, along with 10 other Iranian qanats, was registered in the World Heritage List.